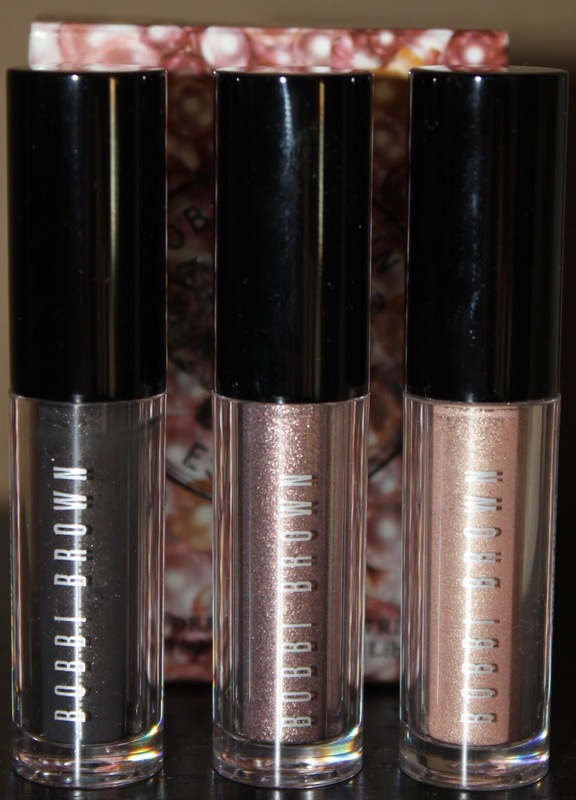 The Bobbi Brown Holiday 2012 Collection came out in two sections. First Caviar and Oysters collection and soon after Choose Your Black. Since I have a few Bobbi Brown palettes I did not purchase one as they seemed too close in shades. The Caviar and Oyster palette has a beautiful highlighter, which I wish came on its own. The Choose Your Black had a interesting cake liner, but it was not as pigmented as my Addiction by Ayako one, and my Laura Mercier one is very similar. However, the loose shadow trio had me weak at the knee’s. Bobbi Brown only brings these unusual (for Bobbi Brown) in limited collections, so I purchased these quickly. Loose shadows are not my first choice as they are harder to apply and do not wear as well. Use short patting motions with a short compact brush like a Mac 239 to reduce fallout. Keep packing on for a more intense look or swap to a Mac 217 for a wash of colour. This trio has a lovely shade collection. All 3 shades can be mixed and matched depending on the look you are going for. The applicator is spring-loaded and does not sit in the product once the lid is screwed into place. I am still a bit hesitant to apply straight to my eye, just for long term hygiene reasons, but have done so and it placed product well on the lid. The wand is quite large so precision application might be difficult, so you might want to use the brushes suggested above. For a LOTD – I used MAC painterly over the whole lid, added a darker shade in the crease for contour. 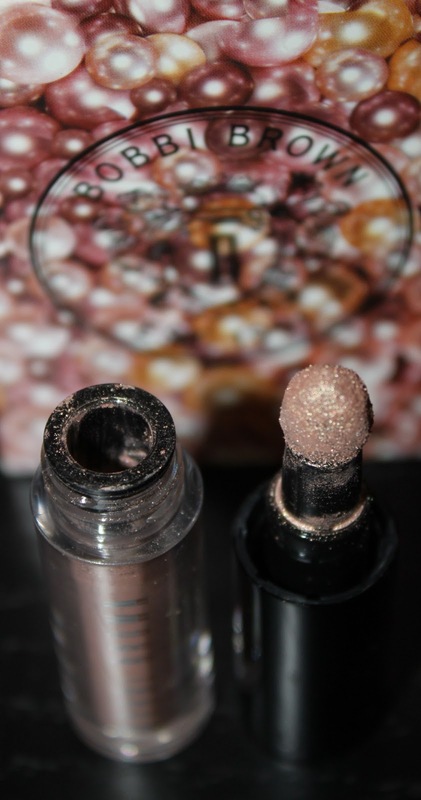 I then patted Pink Pearl over the centre of the lid and Moonlight on the outer corner. Blend. I then used an eyeliner pen for a winged line. Loads of mascara on the upper lashes! This trio can all be kept for yourself (shouts “YES”) or given separately to 3 of your lucky friend as gifts! I found these shadows had staying powder and were extremely versatile. I will do a comparison to my Rouge Bunny Rouge loose shadows soon. Are you a fan of loose shadows? Where can I find this collection,I had company,close friends which I thought and at the end of the night I went into my bathroom and my things were rummaged through and this trio of shadows and other BB Palettes were missing,this one was my favorite for special occasions,I'm heartbroken not so much by the loss of my girlfriend klepto as I am by the loss of these.